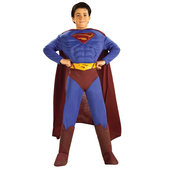 Become a superhero with our kids Superman costume. 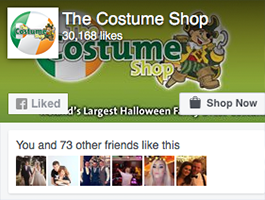 It includes a one piece jumpsuit with attached boot covers and belt. 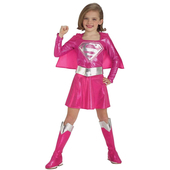 It also includes a cape which every super hero needs. 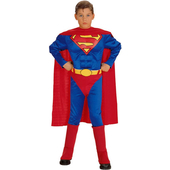 Please note this superman costume cape is a wine colour and not s bright spiderman red.